I have always loved island life for some reason. 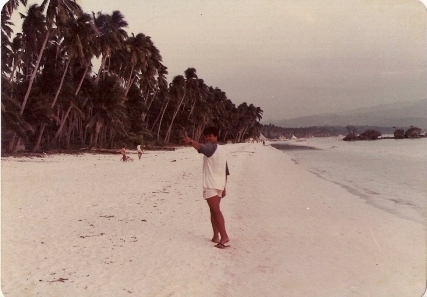 Since the first time I set foot on Boracay Island in 1985, I was hooked to it. Back then, we would travel 8 hours from Iloilo to come to this little piece of paradise, where fishermen would sell their catch to you at daybreak, cook it in the back kitchen and eat it for breakfast. In Balabag, where I stayed, there was one bar back then, the Beachcomber, which served cold beer and played music till the batteries would last. Yes, the car batteries that were running the sound system. There was no electricity in those days and the only way to move around was to walk the beach, there were just no roads too. I kept coming back. And back. And back. Finally deciding to live there in 2004. I found work in the island, even an office with a view of the famous White Beach. I also lived by the beach, on a house on a cliff in Bolabog Beach, today known as the kitesurfing capital of Asia. 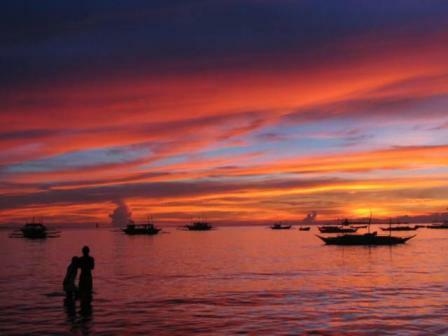 I left Boracay to move back to Negros in 2007 but it remains a second home for me to this day. 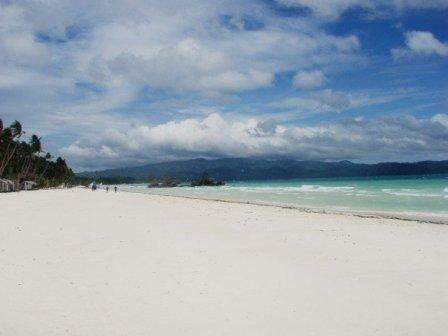 It has all changed now, the island is the Philippines’ premier tourist destination today. It has hotels and resorts for every niche in the market. Restaurants with world-class cuisine, fastfood outlets and yes, Starbucks on the beach. 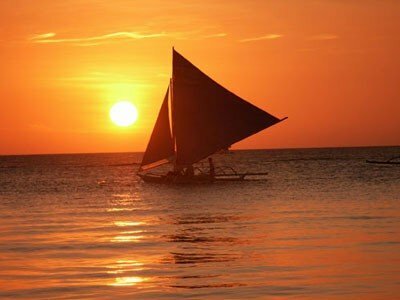 It is rated as one of the world’s top 10 beach destinations, famous for its nightlife as well as its pristine white sand. 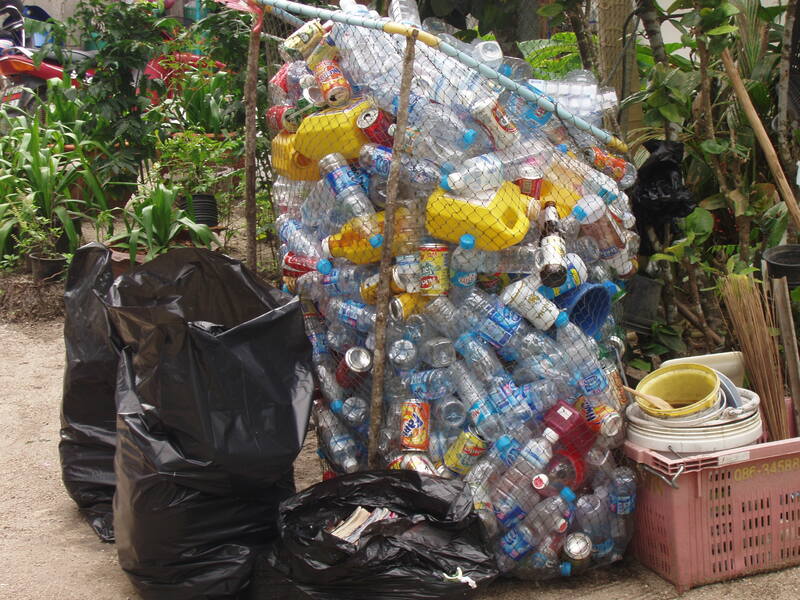 Surprisingly, It is also a showcase in ecological solid waste management today. Back in 2005, the Canadian International Development Agency (CIDA) gave a Two Million peso grant for a joint project with the Boracay Chamber of Commerce and Industry (BCCI) which matched the grant with another Two Million Pesos. 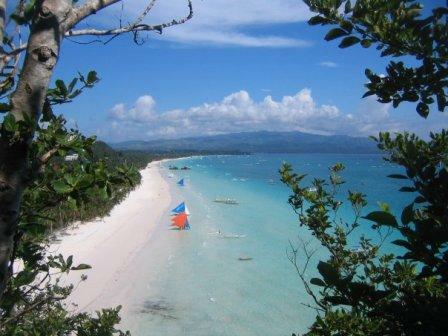 It’s goal was to address the solid waste management problem that Boracay was experiencing. A loose group of island businessmen and professionals, the BCCI embarked on this gigantic mission of initiating change in an island with 30,000 residents and over half a million visitors each year. In the hills behind the famous White Beach, the island had an open dump site – its own version of Manila’s Smokey Mountain- that was the trash bin for all types of waste from the island. It was literally smoking as there was continuous burning of all types of garbage. There were a few scavengers as well, earning a living collecting plastic material and aluminum cans. It was an eyesore and a solid waste management nightmare. It was such a huge problem, nobody wanted to take the lead in looking for a solution. Nobody but BCCI and people who believed in their cause, that is. In the summer of 2005, my island “gig” was managing a Mongolian barbecue restaurant within the D’Mall, the island’s main shopping area. It was an idea of a good friend of mine and I came in to manage the 20 seat restaurant as his partner. I only worked nights, which was perfect as it left me the whole day to enjoy the island life I had been living. It was huge success too, we had a grill on one of the alleys which smoked everyone passing by and smelling the various ingredients we cooked. To my surprise, Mongolian barbecue actually traces its roots to the days of Genghis Khan. As nomad warriors, they would usually eat meat from animals they would slaughter each day, cooking them in their metal shields in a huge open fire pit where everyone would serve themselves. It was a great story I would tell to tourists who had never heard of this type of cuisine. It was fun work, had very little pressure and a great way to meet new people as well. I had previously worked with the BCCI as a freelance consultant, facilitating their strategic planning workshops and teambuilding sessions – skills i had learned as a corporate training executive. 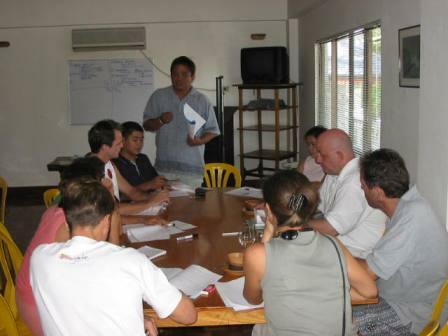 I was also closely working with their board, a group of idealistic people who were the island’s major stakeholders. Karen Villarica-Neff, their president then, sent me a message one night as I was tending to customers. We set a meeting for the next day and was asked, more like persuaded, to consider heading their solid waste management project for the next two years. It was quite a surprise to me, I knew absolutely nothing about solid waste management and had no qualifications in this field. But I had managerial and planning skills, was quite good with people and had the corporate experience they needed. I also needed a more stable job and here it was, being offered to me. Most of all, it looked like a great way to contribute something to this island I had grown to love as my second home. 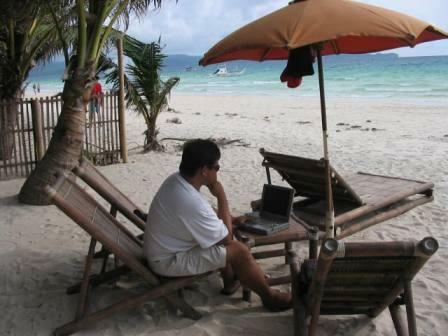 “Boracay Lives” was the project I started to manage in April 2005. It’s aim was to initiate recycling, waste segregation at source and a more sustainable waste management for Boracay Island. It included building a Material Recovery Facility (actually something I had never heard of previously) in the island, educating people on the benefits of proper waste management and creating a proper waste collection system. I soon moved into an office on White Beach itself, hired staff members and went about following a detailed list of activities according to a set timeline. We conducted seminars, met with government agencies, partnered with other organizations and always hoping to convince people to join our cause. In the meantime, I was also getting my own lessons in solid waste management. Mostly from the work we were doing and partly from my parents, both of whom had been involved in this field for a good number of years. It was a daunting challenge, to say the least. I had to present the project to various government officials, government agencies and civic organizations. We also had our share of disappointments with many government officials. But a lot of people were supportive and provided us the encouragement to keep on keeping on. The project found its champion in a barangay captain named Glenn Sacapano, who headed Barangay Balabag which covered most of White Beach. I had met this quiet and humble man in the many meetings we had and I somehow placed my hope on him. According to the law we were trying to follow, the barangay chief was to be the point man. Our success was anchored on his own political will to institute change and implement the law – which he did effectively. As we worked closely together, change slowly happened. The dump site was permanently closed, he passed an ordinance on waste segregation and implemented it himself. In the midst of controversy and criticism, our project constructed the first Material Recovery Facility in Boracay, built a composting facility for biodegradable waste, provided the first shredding machines and donated the first mini garbage truck to collect on White Beach itself. In the years that followed, government agencies and private organizations poured their resources into this little upstart project, expanding it and eventually creating a showcase for ecological solid waste management practices in the Philippines. People from all over the country continue to visit this facility today, learning what they can copy for their own cities and municipalities. In 2010, a select group of top local government officials from around the country gathered in Boracay for a National Solid Waste Management Summit, showcasing the Barangay Balabag experience and the system in place around the island today. Today, Barangay Balabag’s Material Recovery Facility produces and sells compost fertilizer, sells all the recyclables to wholesale buyers from Manila and operates a self sustainable waste management system which is supported by its own income from recyclable and biodegradable waste . It is supported by the Department of Tourism, the Boracay Foundation, the Aklan provincial government and the Municipality of Malay and many private corporations today. I write this because I just got back from Boracay a few days ago. As I usually would, I spent New Year’s Eve with friends at the beach, partying island style. This year, I saw so many people I was very sure this was the most I had ever seen on the island. It was totally crowded on White Beach, I only managed to visit it a few times. Yet I was impressed with what I saw, the island was actually quite clean. There were posters everywhere reminding people about their waste, there were also uniformed personnel implementing ordinances. There is even a smoking, drinking and eating ban on the beach itself as an effort to rid the area of garbage. For a rapidly growing tourism destination, it is successfully coping with its waste management challenge while building on its past success. Today, Glenn Sacapano heads the Boracay Solid Waste Action Team – the island’s clean and green task force. He is still the quiet and assuming man he was, though now he is the champion of Boracay’s waste management initiative. And an excellent one as well. In the final months of our project, towards the end of 2006, we decided to place a small plaque at their office for posterity. It was a simple memento for others to see in the years to come. Vaguely it reads, ” Barangay Balabag Material Recovery Facitlty, constructed in June 2006. A joint effort of the Pearl2 Project of the Canadian International Development Agency and the Boracay Chamber of Commerce and Industry.” Underneath was my name as Executive Director and the board members, most of whom truly deserve mention. Charles Y. Uy, Karen Villarica-Neff, Philippe Bartholomi, Peter Brugger, David Goldberg, Gigi Piit, John Munro and others I may not be able to recall. They know who they are. Boracay hardly remembers what these people did years ago, but I do. Back in the day, with our island in a crucial tipping point, these were the people who believed, who reached out for funds, who shared their resources and really worked hard for a cause they truly believed in. There is real power in having faith and pursuing one common purpose. What we believe, we can truly achieve. 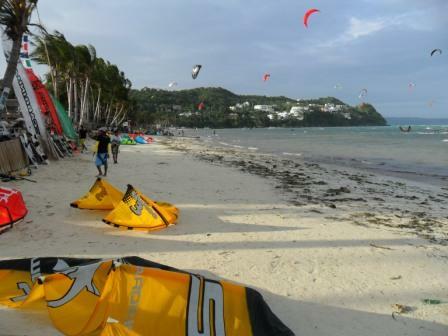 And as we had all believed back then, so we see today…….Boracay Lives!